Be still. Hush! 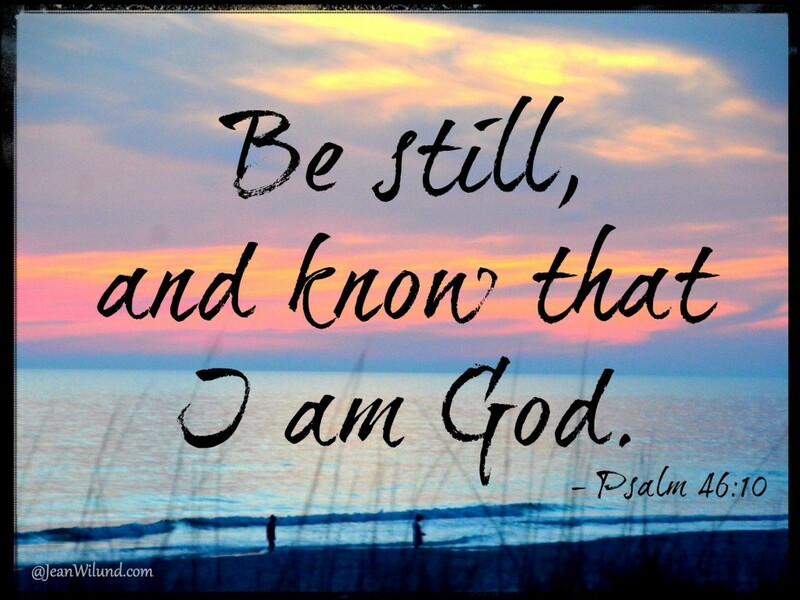 Be quiet in My presence and KNOW that I Am GOD, your GOD that is in the midst of you, says the LORD. Can I be trusted? YES, I CAN! Put your trust in ME, now! Can I become overwhelmed? Can I be defeated? Can I be overcome? Never, says the LORD. I Am on task, always. Night and day are no different to Me. I AM never tired nor weary. Nothing will alarm Me, so why worry? I Am everywhere, and nothing is hidden from Me. I have your back, and I AM your companion, always. You are not alone, and with Me, there is no possible defeat, says the LORD. Just trust Me, says the LORD. TRUST! Trust My presence. Trust in My infallible love. Trust in My power. Trust that I Am on your side. Trust in My faithfulness. Trust that I Am all that you need, always! Know that nothing can harm you, nothing can defeat you, and nothing is impossible for you as you believe and trust in Me as YOUR GOD. I will be with you night and day. REST in Me always, for though things change, people change, situations change, I DO NOT! You can be assured that I will never fail you, and you will be complete in Me. As you trust in Me, always, I will quiet your fears and calm you as I embrace you in My strong arms of love, says the LORD. Amen! Thank you Lord! I trust and Love you Jesus! I depend on you Holy Spirit! Make haste to save, deliver and help me, family, saints, Israel, Jerusalem! Amen!I trust in You My Father and My Lord! Thank You, Lord, for Your freely given gift of GRACE and your INFINITE LOVE & CARE !!! Hallelujah and Amen !!! Amen thank you Jesus! I receive it! Much needed and on time. Thank you Papa God. Amen !!! Love Love Love this Word, Thank you Lord!!! Thank You Lord, I am putting my trust completely in you and not in myself or man. Show Off in my life Lord!! !